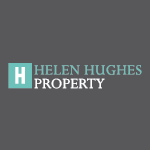 Helen Hughes Property providing a unique level of service that embraces all aspects of strata management and personal client contact. Strata laws have changed and we are willing and able to help you navigate through those changes to ensure that your strata is compliant and in order. Our advice is complimentary and we look forward to answering your questions and concerns. We offer obligation free strata health checks. Contact Us today.